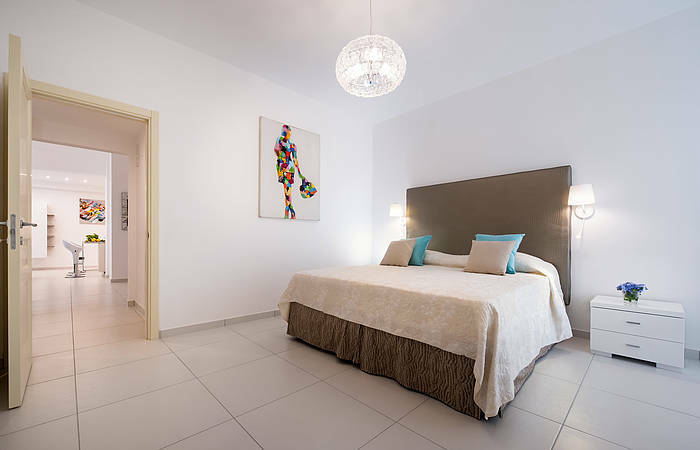 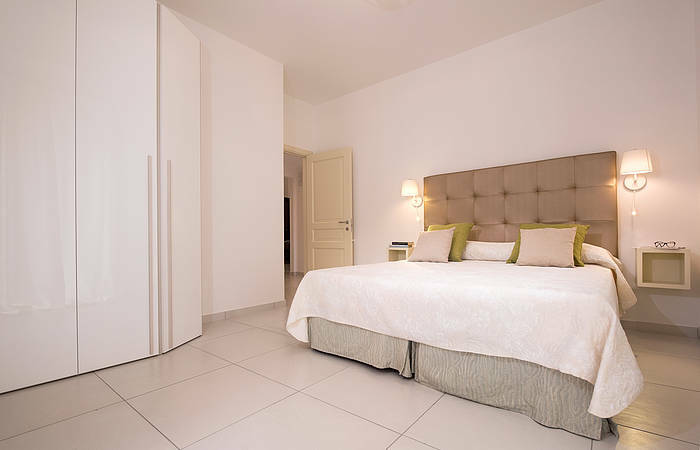 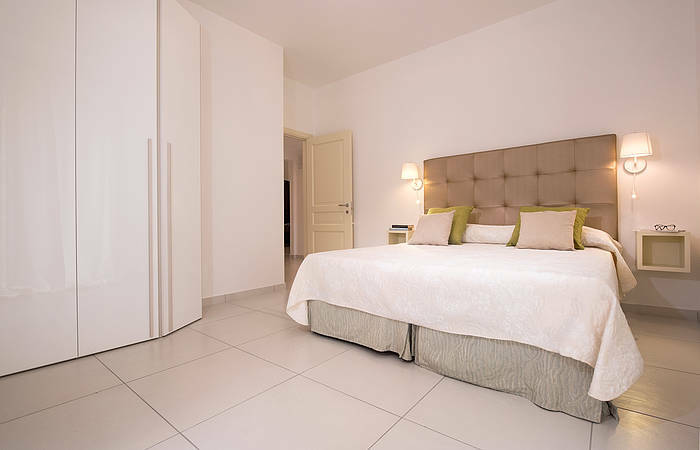 Experience the Amalfi Coast from the heart of Minori just 50 meters from the beach. 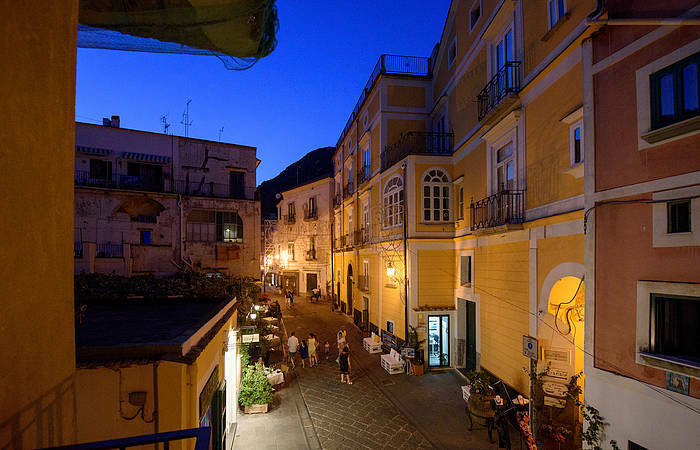 Al Corso 4 is located in this small Amalfi Coast village along the main street which runs right through the old town. 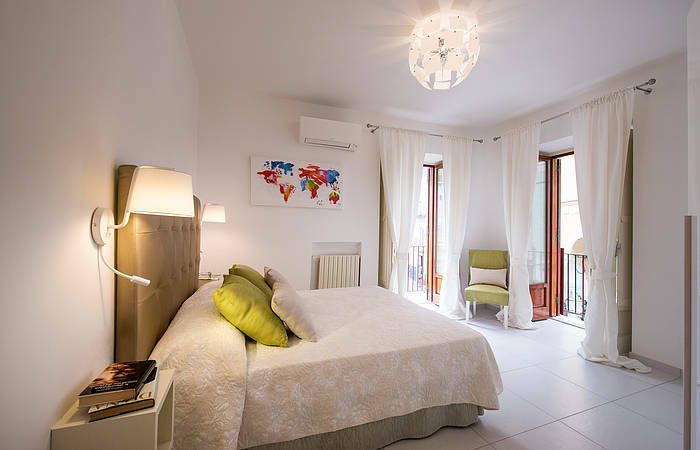 The name, Al Corso 4, is both its address and a guarantee of old world atmosphere, with a spacious and bright contemporary interior decor blended with the timeless charm of a coastal village. 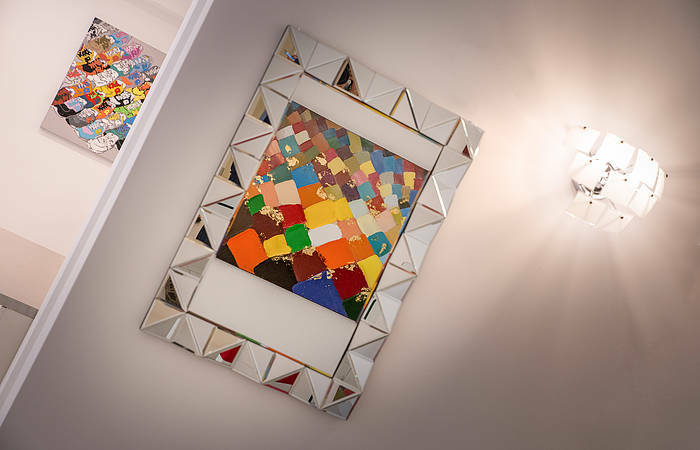 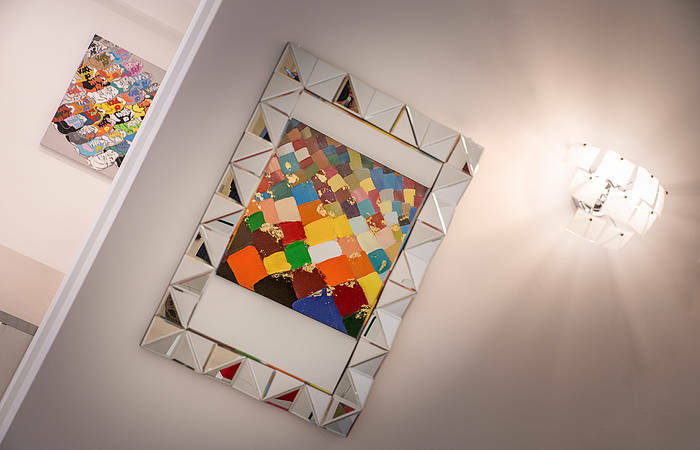 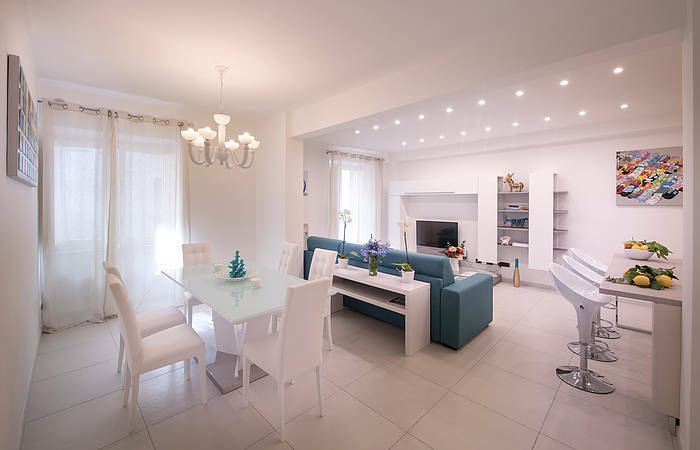 The stylish furnishings, lamps, paintings, and decorations lend an elegant touch to the understated interiors, and makes for a welcoming and contemporary base in the heart of Minori. 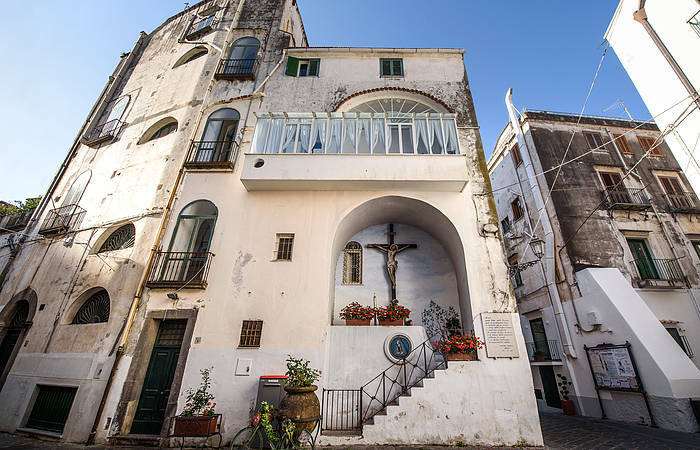 A contemporary retreat on the Amalfi Coast just 50 meters from the seaside in Minori. 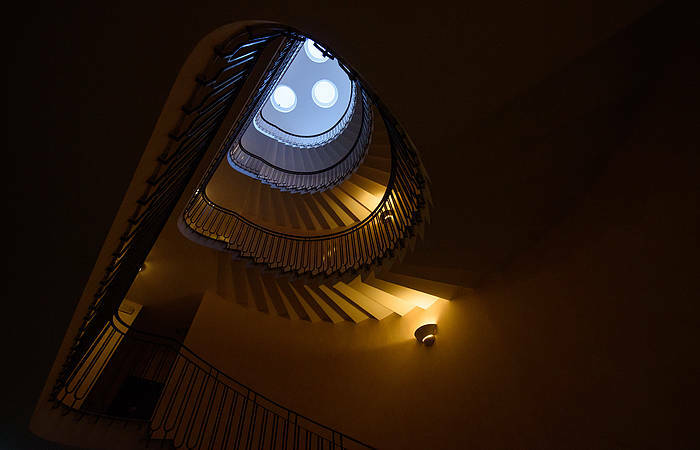 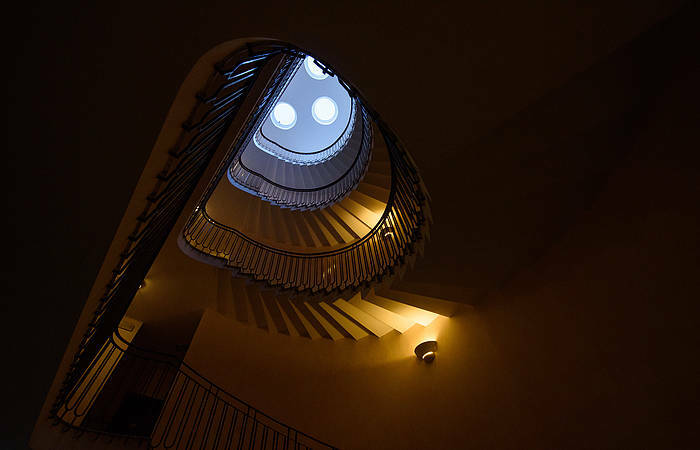 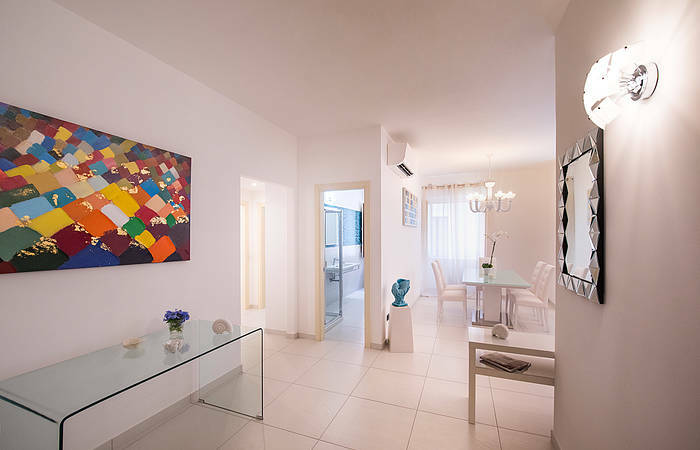 The large open space foyer forms the center of this apartment, and is surrounded by a number of rooms. 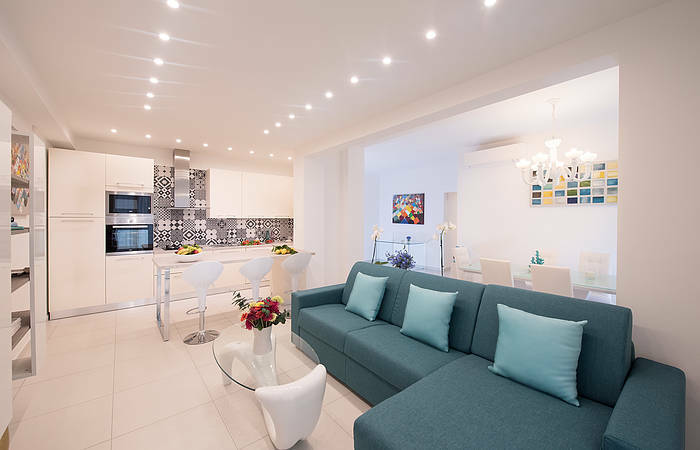 The living room, with large couches perfect for relaxing in front of the wall-mounted smart tv or enjoying the wifi and stereo system. 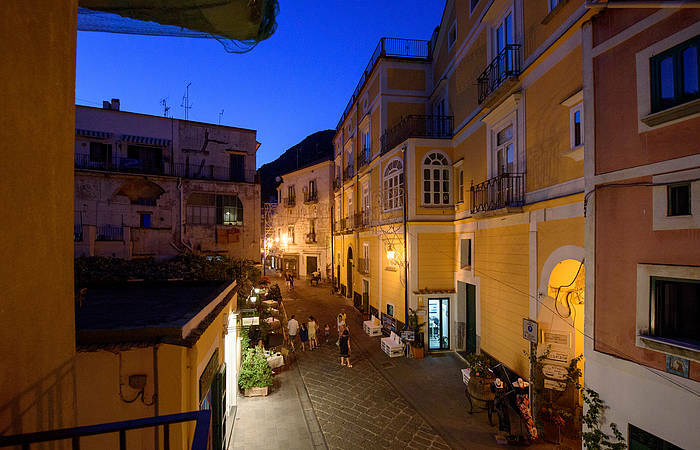 There is also air conditioning and a balcony overlooking the picturesque main street in Minori. 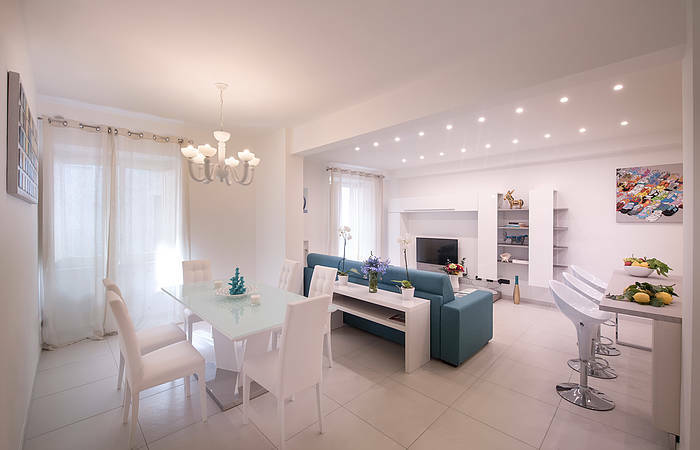 The dining room with seating for six. 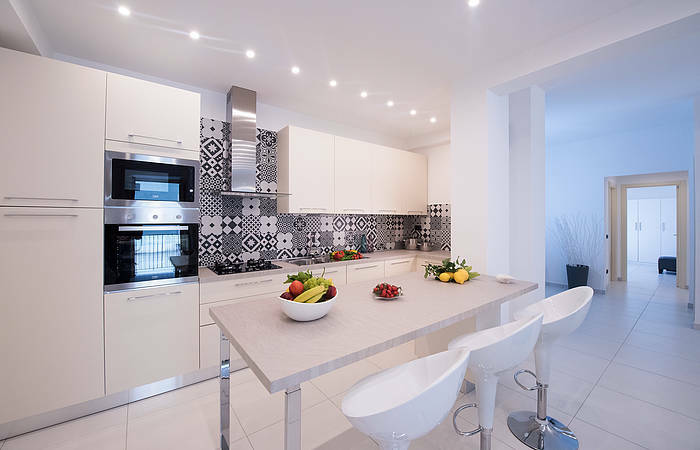 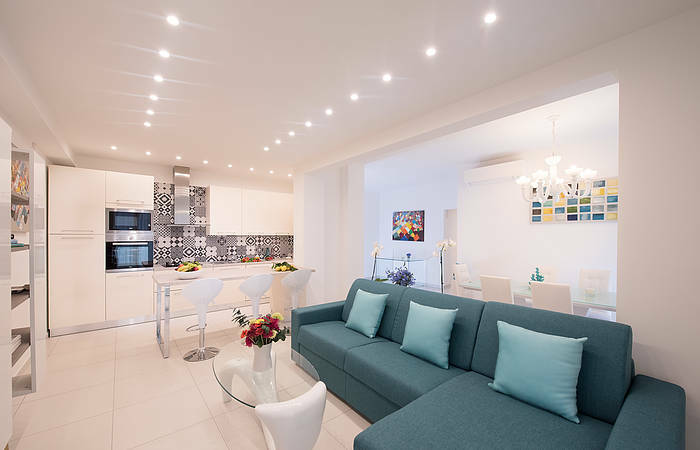 The fully-equipped kitchen with microwave and dishwasher and peninsula separating the living and cooking areas. 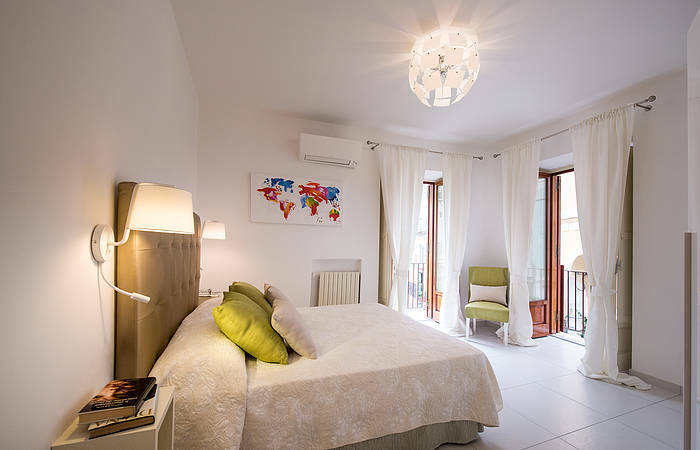 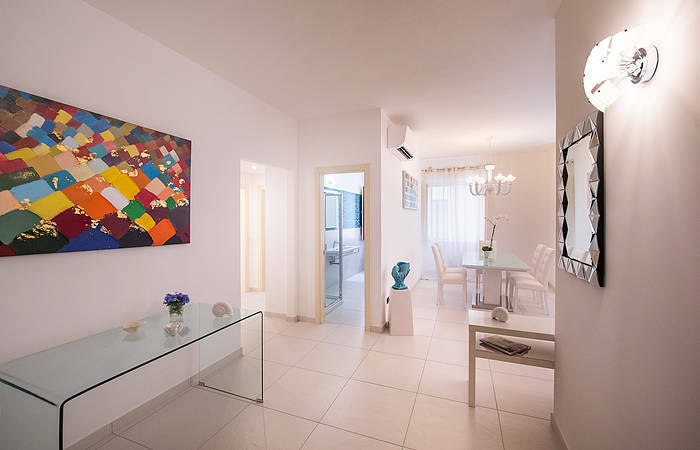 Al Corso 4 is ideal for a vacation with family or friends, with two double bedrooms (beds can be separated into singles upon request) and a sofa which converts to a double bed; the apartment sleeps a total of six guests. 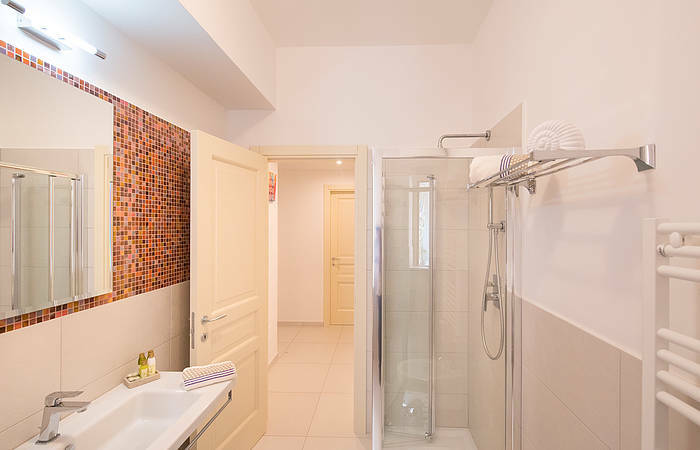 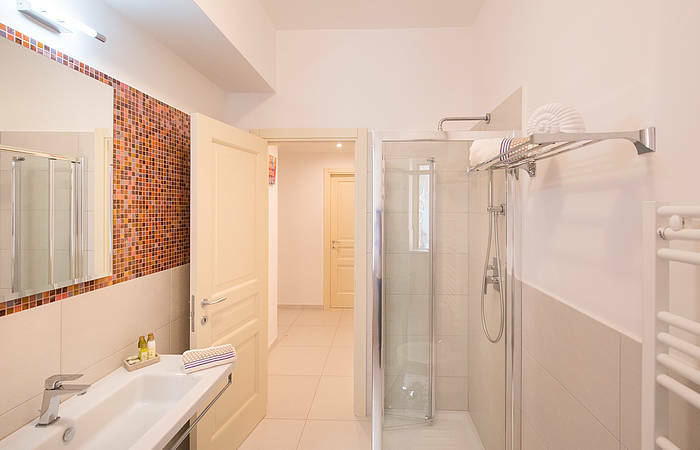 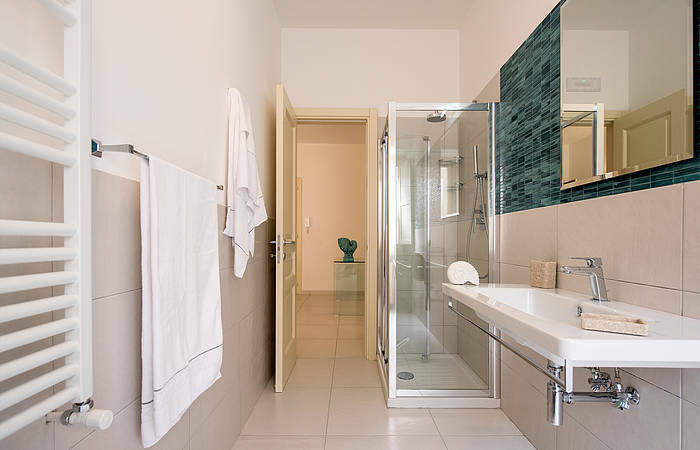 There are also two bathrooms with roomy showers and mosaic tiling, and a laundry-room with a washer, dryer, and sink. 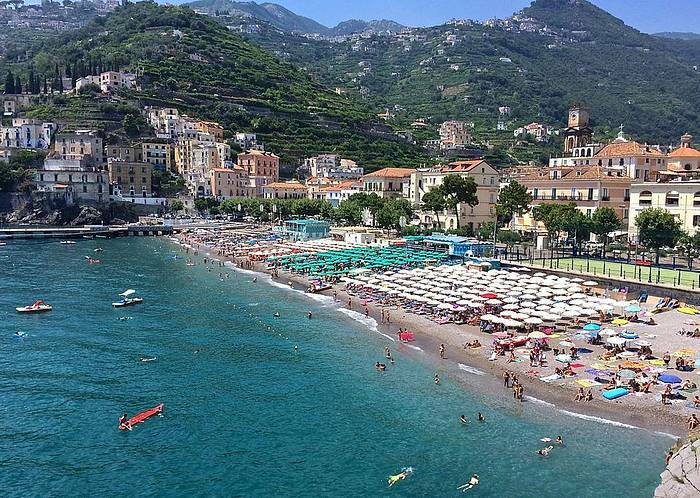 Minori is a small seaside village along the Amalfi Coast between Amalfi and Ravello. 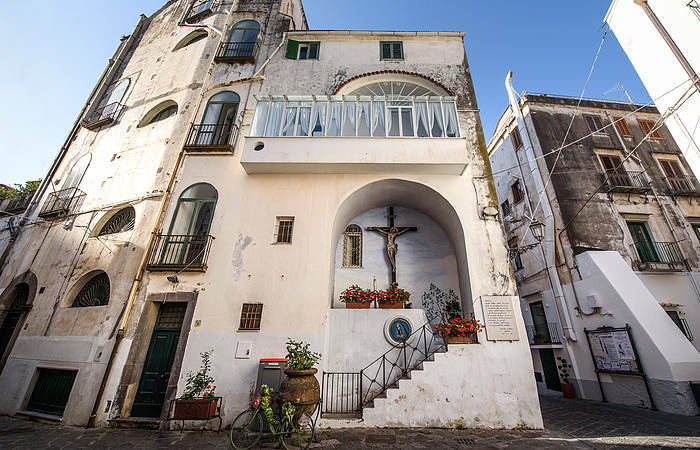 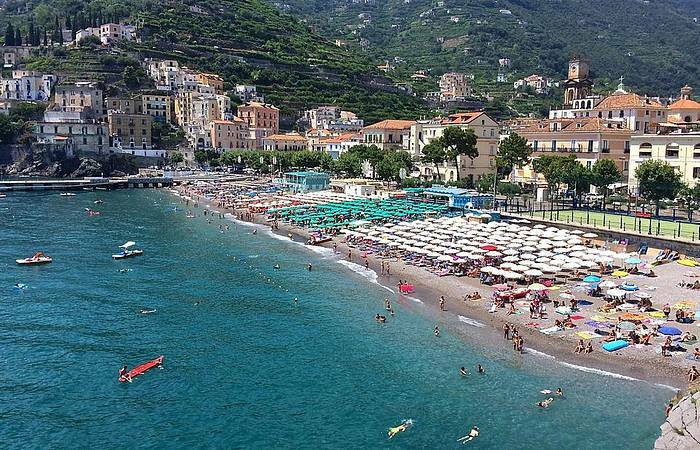 Al Corso 4, the newest apartment offered by Amalfi Vacation, is located directly along the main street running through the village. 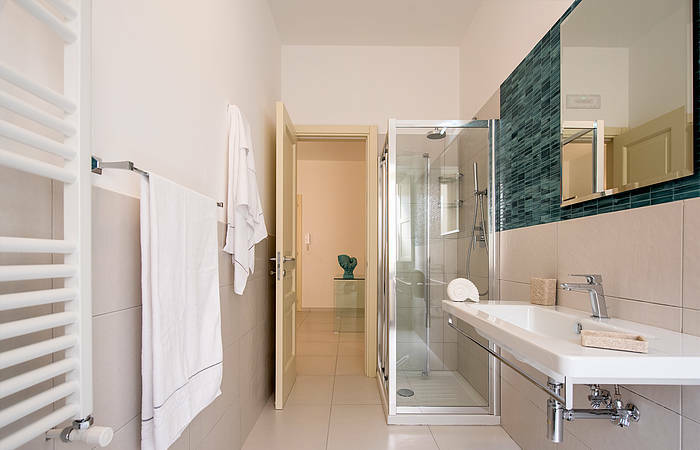 The apartment is located on the first floor (there is an elevator) and has a balcony overlooking the main street below. 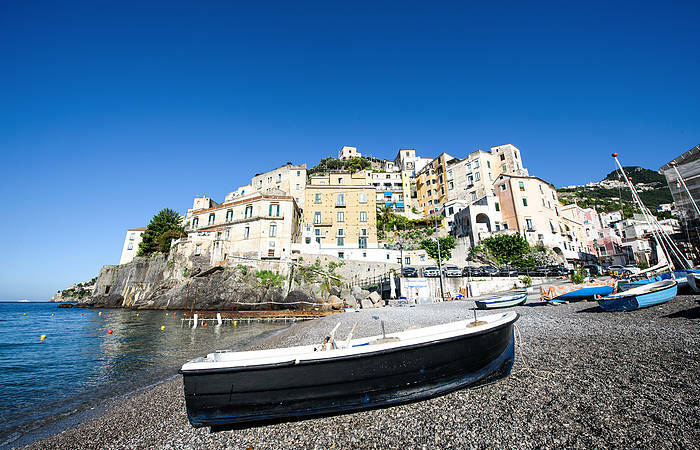 From Minori, Amalfi, Ravello and other destinations along the Amalfi Coast are easy to reach; there are also connections to Positano, Sorrento and Naples. 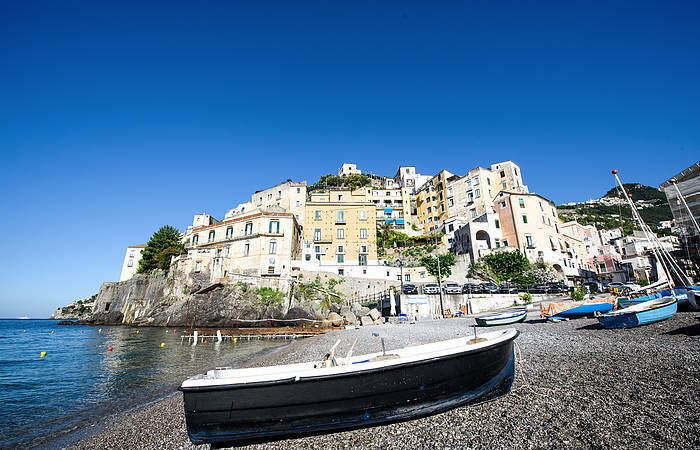 High speed ferries run during the summer months to locations along the Amalfi Coast to the islands of Capri and Ischia''' for day trips by sea.